What are colors important? We use colors routinely in e-learning courses, what’s the big deal about colors and the meaning they convey? Do colors enhance and drive quick learning? 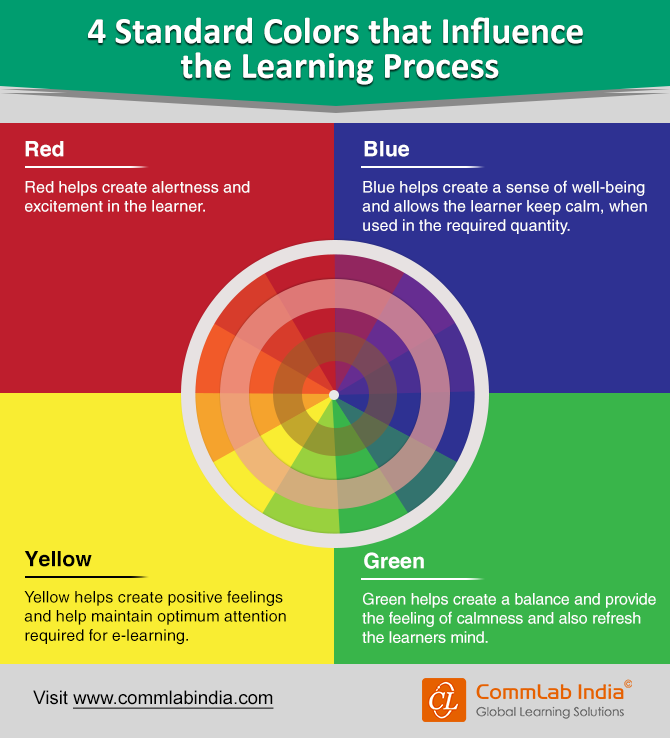 Well, colors do impact learners’ mood and improve their focus on learning and they also draw learners’ attention to the key points. But, do you know which color is right for your eLearning and its audiences? Let’s look at a few prominent colors and their impact on learning in the infographic below.